Help your students better understand figurative language with this classroom activity on similes and idioms. We have made this lesson even more fun with Halloween examples! 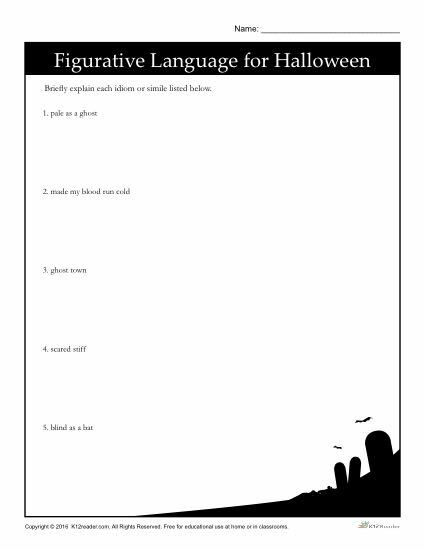 Students will practice interpreting different phrases, such as ‘pale as a ghost’ and ‘made my blood run cold’, with this printable worksheet. This activity is ideal for 6th-8th Grade, but can be used where felt appropriate.